Ji sun park is multi talented interior designer for spaces all over the world. She has experience from Asia to America, to Europe. She has an aesthetic eye for color, and a savvy sense of styling. Though she has a masters in retail environment, she is taking on more residential projects. Her extroverted personality and desire to help people live in beautiful spaces led her to focus on residential design. 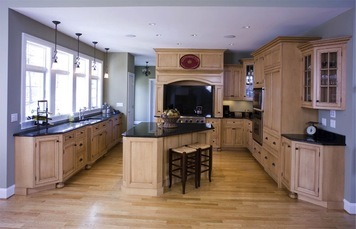 She has found kitchen and bathroom design especially fun and challenging, completing over 100 projects in the NYC area. In her free time, Ji Sun is also a painter, jewelry designer, event planner and stylist. It always depends on the client, but most of my inspiration is from nature or the five senses. I like to design a space that affects the client’s being, both mentally and physically in a healthy way. This happens in the use of the five senses based in elements of nature. This is what inspires me. I love to design kitchens and bathrooms since they combine both beauty and functionality. I have experience in commercial and residential design, but I mostly enjoy designing functional arrangements in kitchens and bathrooms. In kitchen and bathroom design, I can completely change a kitchen from modern style to traditional, and transform a bathtub to a shower standing area. It has to be very accurate and the designer has to know the plumbing and detailed information for the building code and construction. I have strong confidence and lots of experience in this field, so ideally I would want to design a beautiful bathroom and kitchen.